Arsenal are reportedly close to completing their first three signings of the summer transfer window in moves for Sokratis Papastathopoulos, Bernd Leno and Caglar Soyuncu. That’s according to the Sun, who also state this trio of deals suggests it is Mikel Arteta who will get the nod as Arsene Wenger’s replacement over Luis Enrique or Massimiliano Allegri. 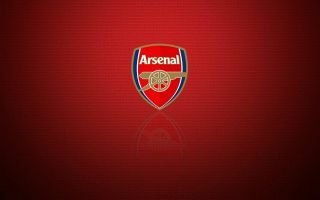 This may be due to the fact that the Gunners would afford less control to a coach like Arteta, who would be entering his first management position if he were to take over at the Emirates Stadium. That could mean less overall control on things like transfers, which the Sun suggest are close to conclusion despite a new manager not yet being named. Sokratis and Soyuncu look fine potential additions in defence, and the Sun report this could allow Shkodran Mustafi to leave after a disappointing two seasons in north London. Leno, meanwhile, has impressed in goal for Bayer Leverkusen and looks a necessary replacement for the ageing and in-decline Petr Cech as the club’s number one. The German shot-stopper seems an ideal long-term solution in a problem position for Arsenal as they start building for the post-Wenger era. The Sun report that the three signings should cost a combined £75million.